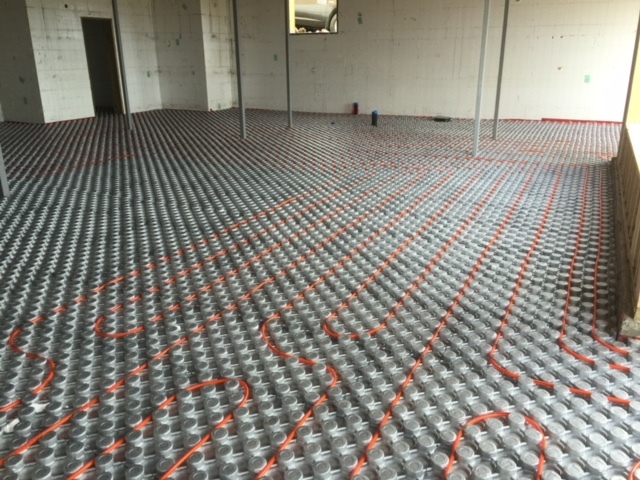 Superior and faster installation for hydronic radiant infloor heating. 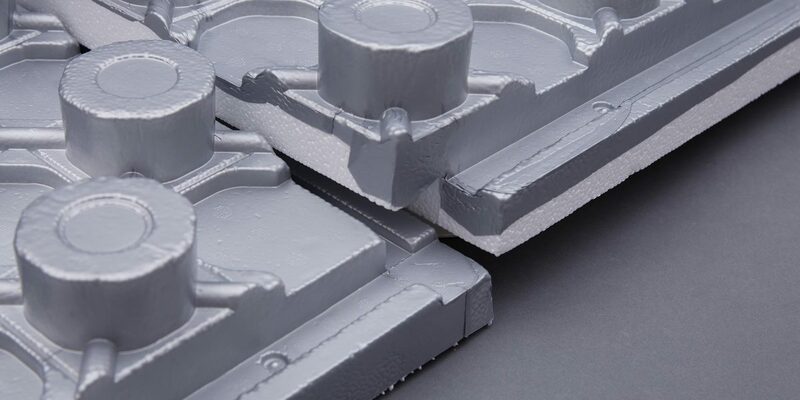 The combination of molding expanded polystyrene (EPS) insulation, one of the highest performing energy efficient insulation materials available today, with a High Impact Polystyrene (HIPS) film, makes for a strong and resilient Ampex panel. 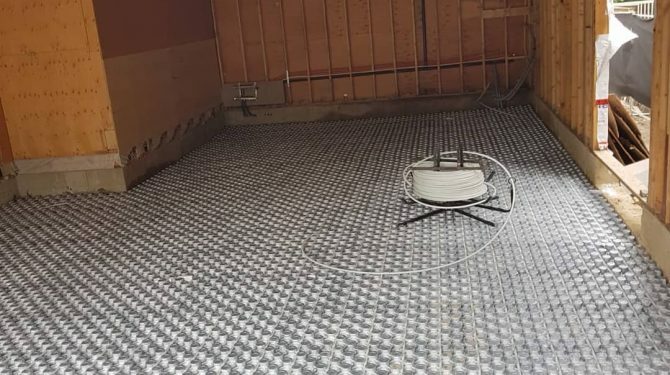 The panel combines rigid insulation, a vapor barrier and PEX tubing locking mechanism into a single solution that significantly reduces installation time. 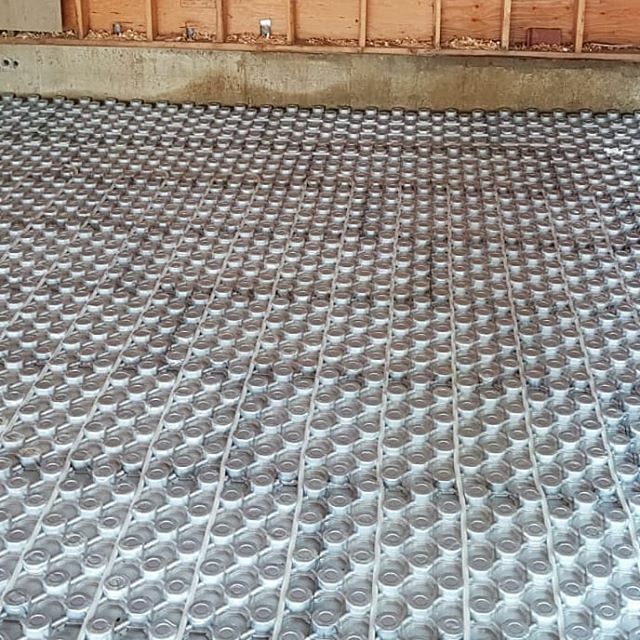 The innovative patented panel design ensures that the tubing is completely encased in concrete and not pushed to the bottom of the panel through the use of bridge connectors. 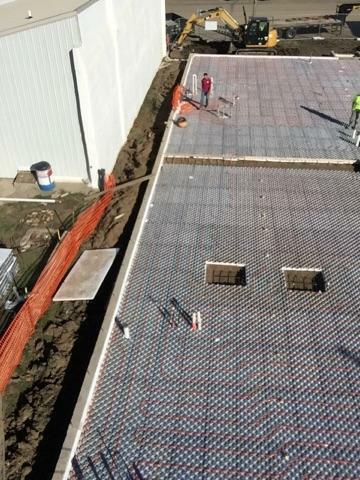 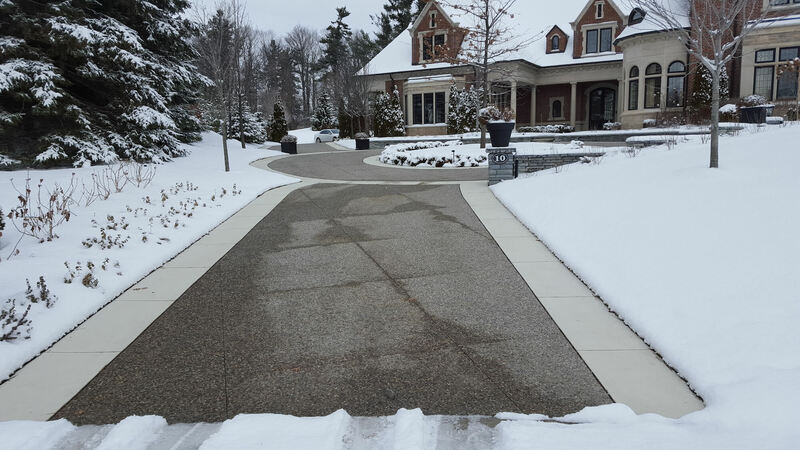 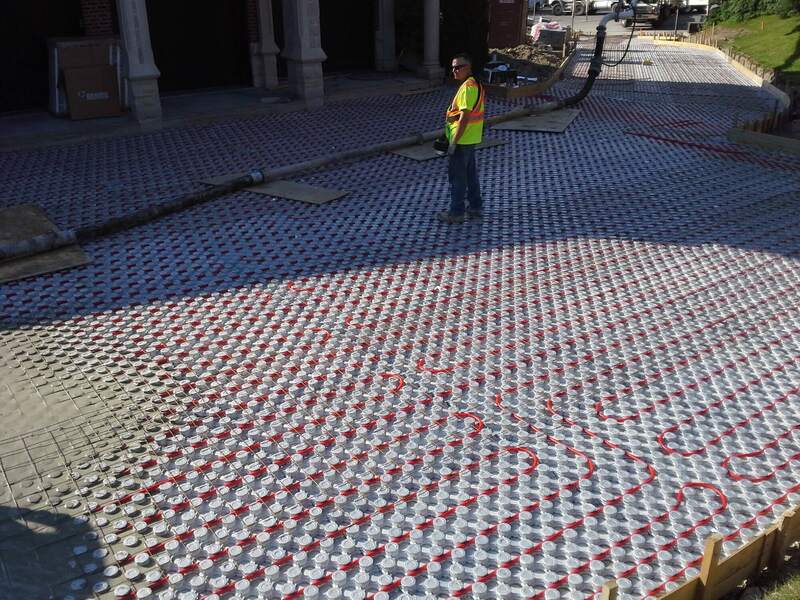 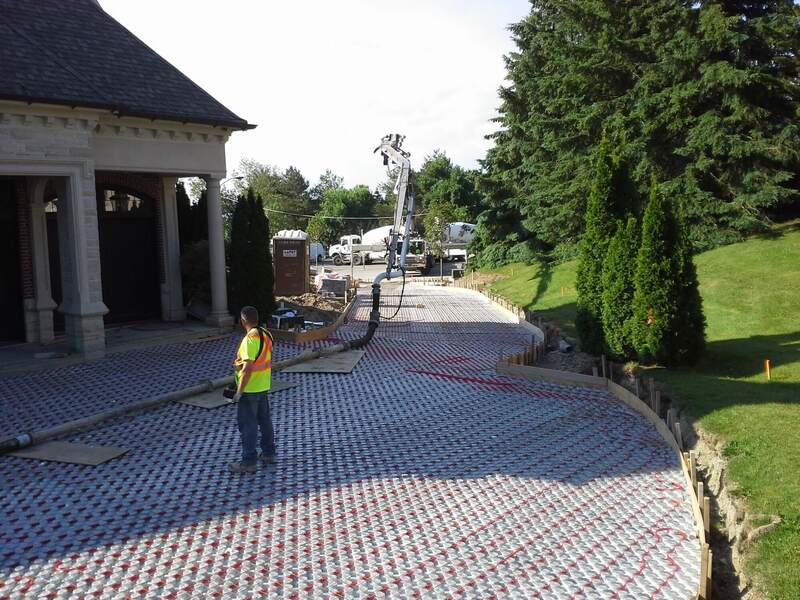 The larger contact area between the tubing and the concrete allows for increased heat transfer reducing the response time of the system and helping achieve desired temperatures faster. 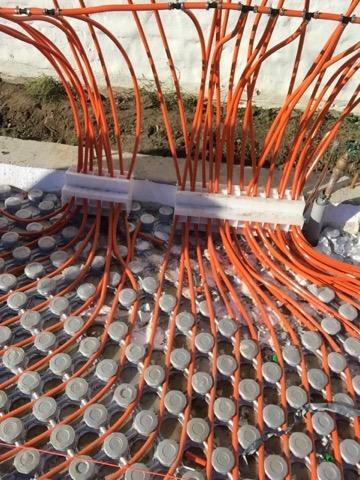 The Ampex panels have unique “mushroom” shaped nubs which locks the PEX tubing firmly in place (staples and zip ties not needed). 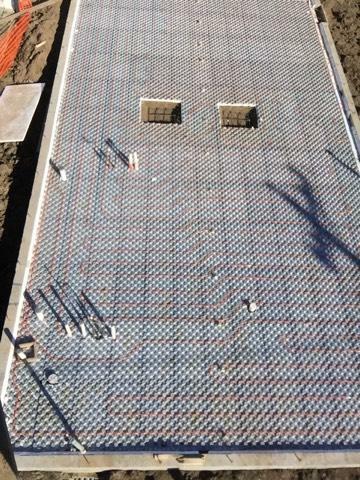 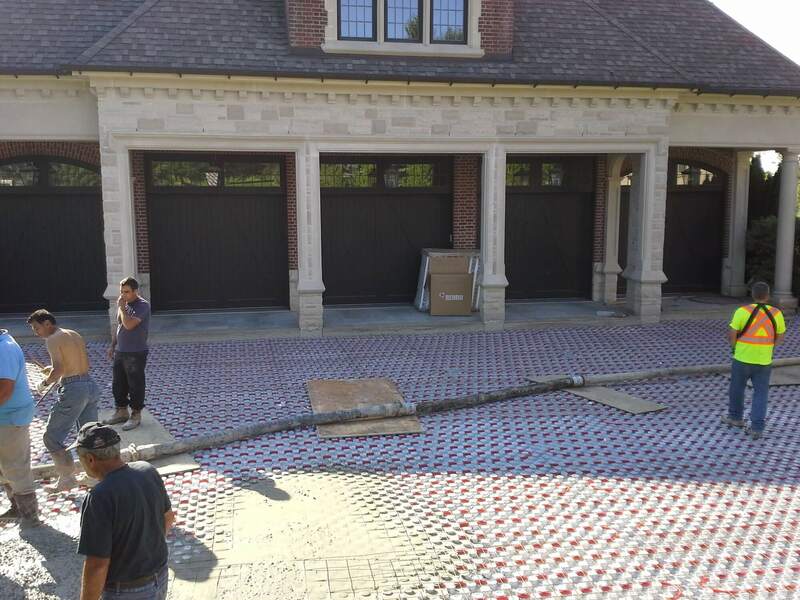 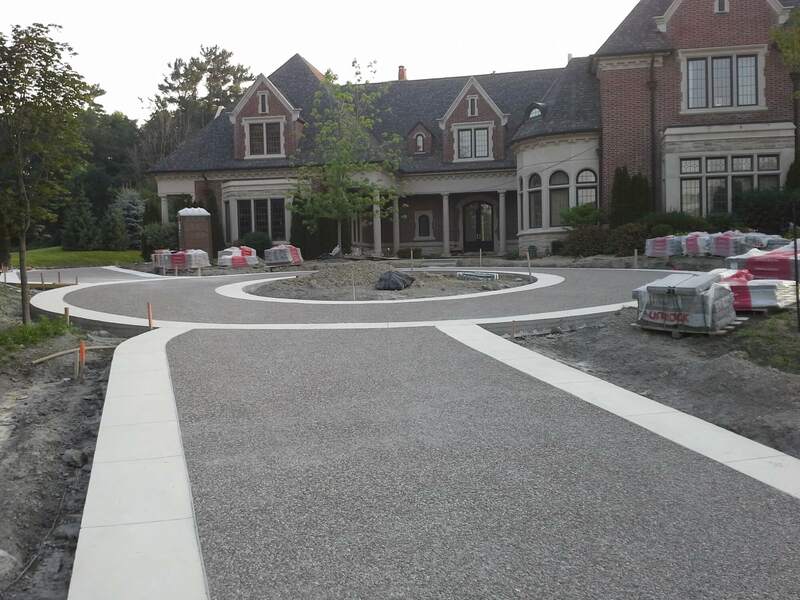 The 2’x4’ (610x1220mm) panels are placed on compacted stone/gravel. 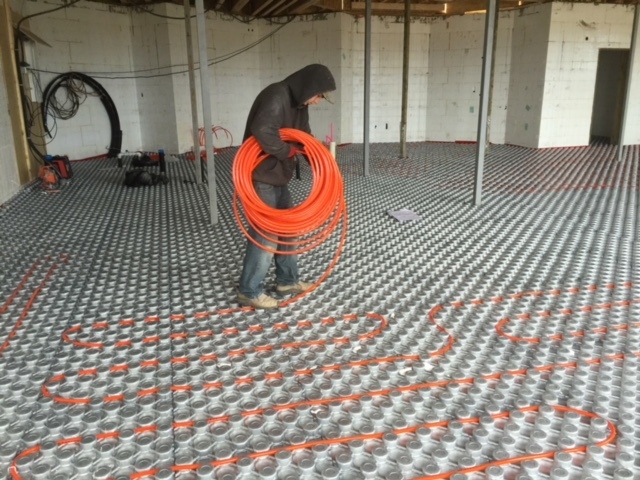 PEX tubing is then easily inserted into the panels simply by walking in the tubing. 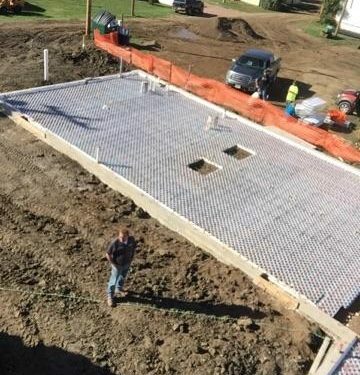 Concrete is poured on top of the panel to the required thickness (as per local code) encasing the tubing, nubs and any steel reinforcement (optional – rebar or welded wire mesh). 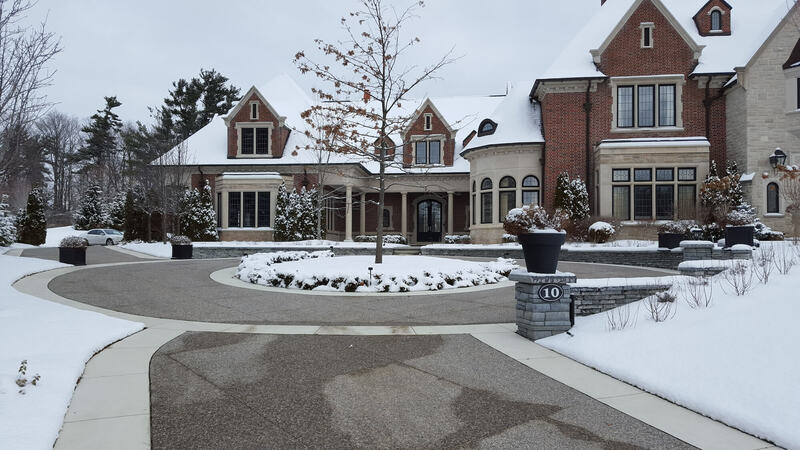 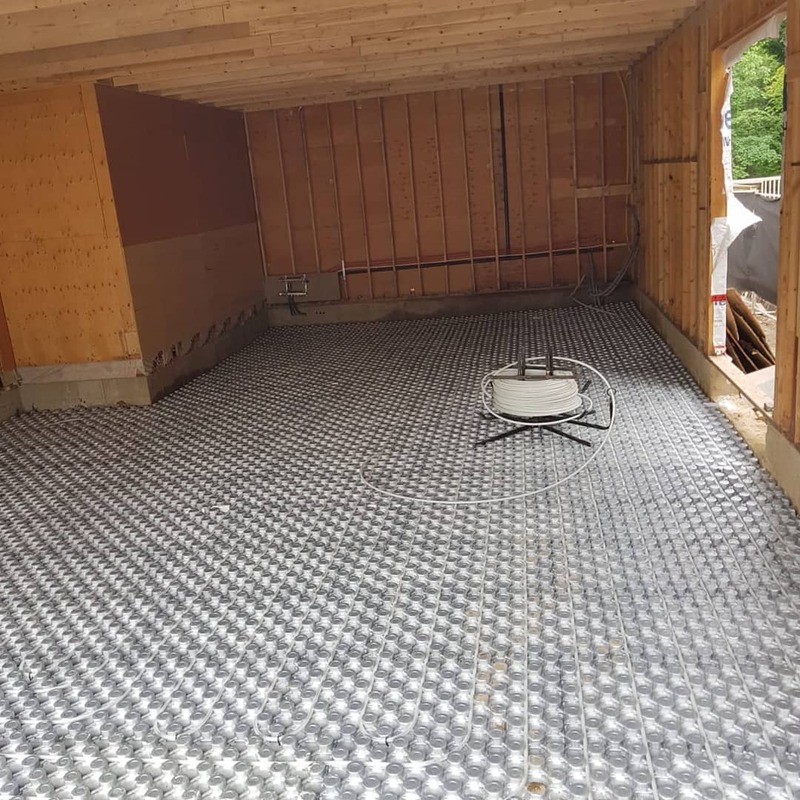 Heating system for basements and other living areas e.g. 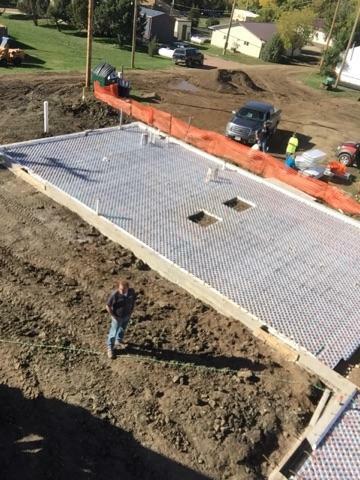 kitchen, bathroom etc. 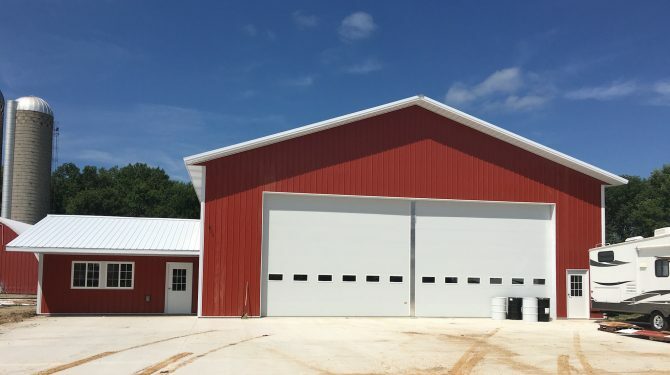 Tall wall applications such as retail, gymnasium, banquet halls etc. 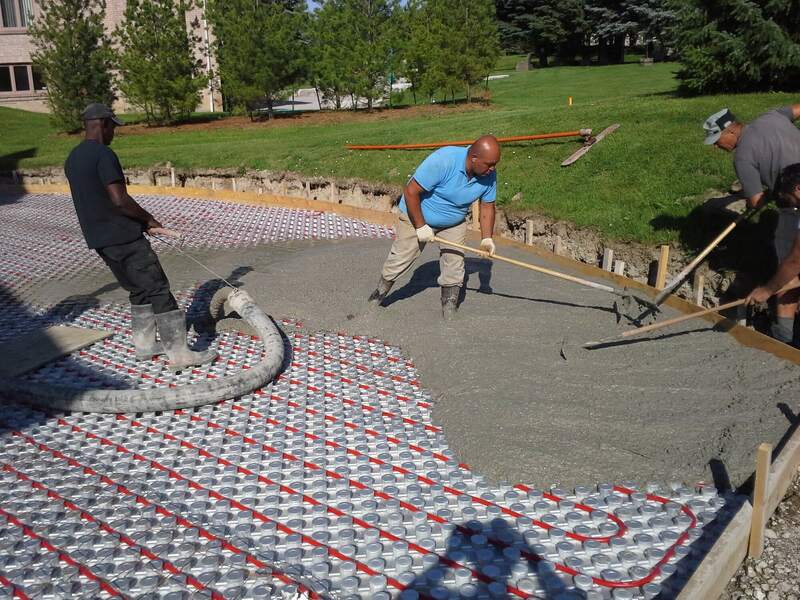 Durable panel with easy walk-in installation enabling increased job-site efficiency. 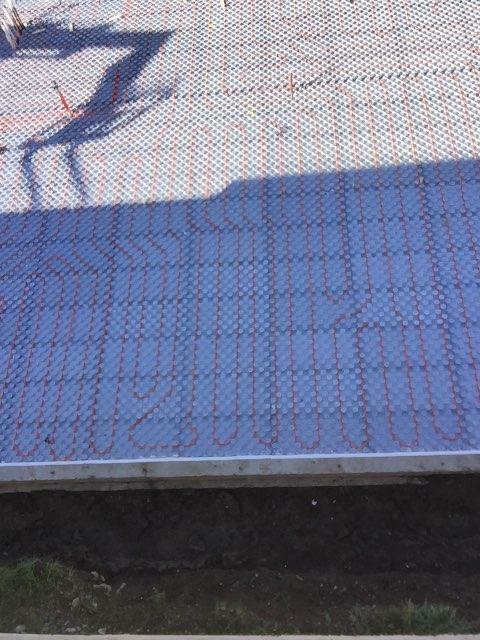 Innovative panel design with a mushroom-nub technology ensuring a durable, quick and simple install. 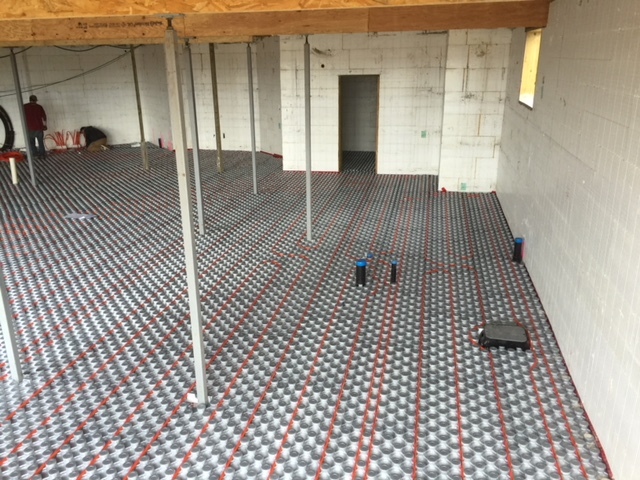 Save time, labor on your radiant hydronic heating installations and achieve faster completion dates. 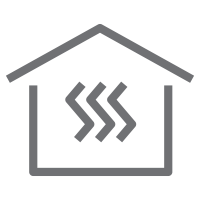 Uniform heat transfer for an efficient, comfortable and warm living space. 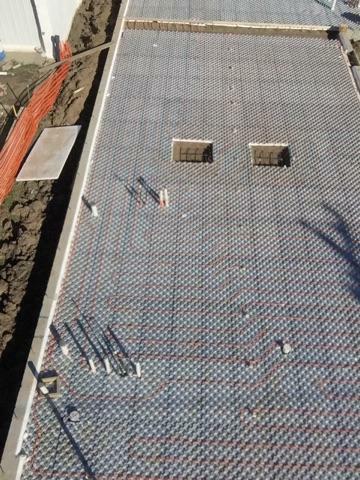 Consistent grid pattern of the panel allows for uniform heat distribution. 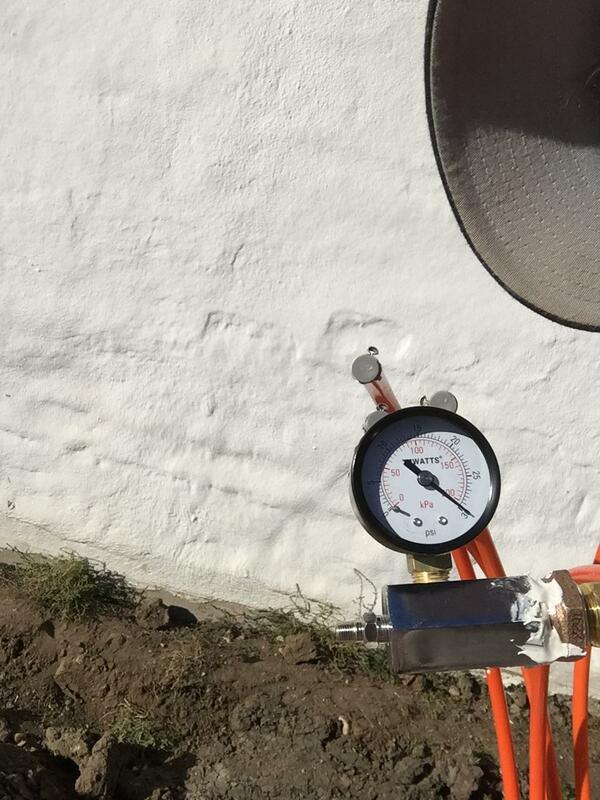 The nub height accommodates multiple tube sizes and protects the tubing from damage when the panel is walked upon by other trades. 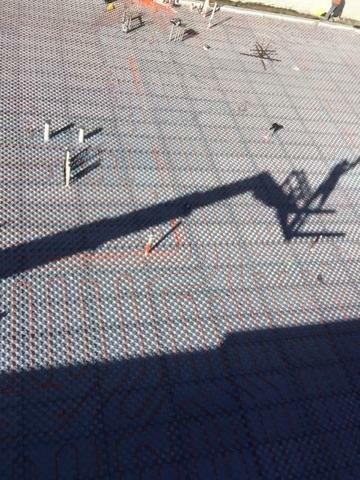 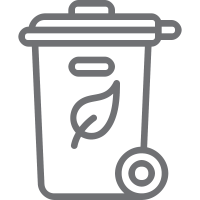 Light and manageable panel size reduces waste due to damage on site. 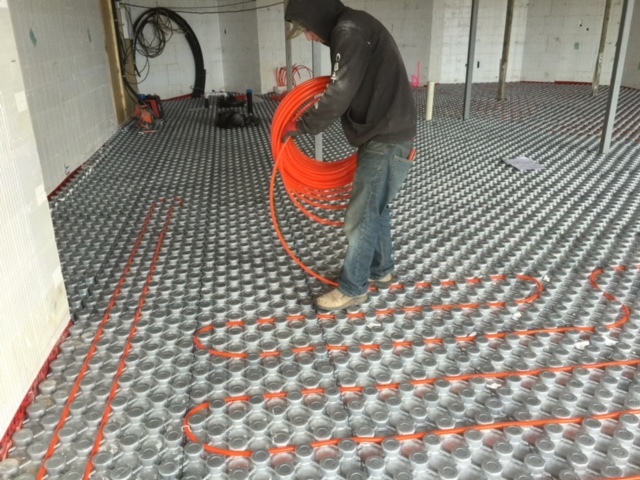 Quick and easy walk-in installation of PEX tubing without the need for staples and zip ties and completely eliminating the strain of working at 45 degree angles. 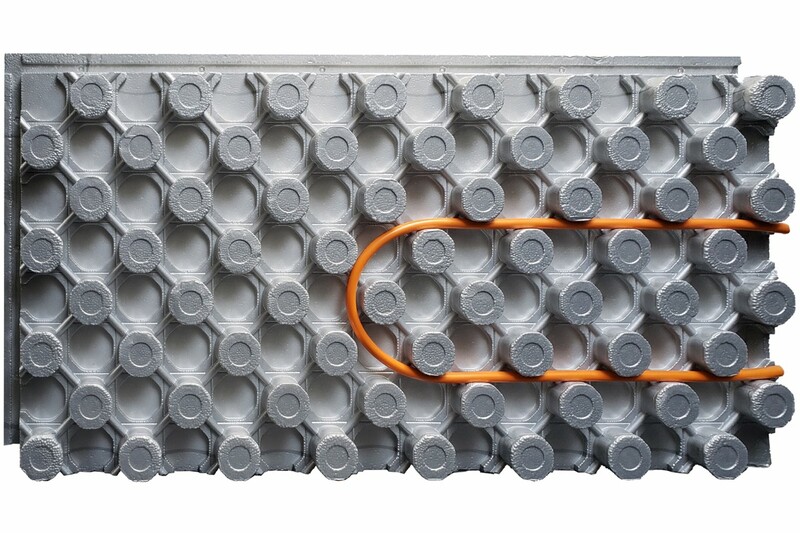 The large, four-sided interlocking shiplap connector system makes for a quick, easy and secure installation while maintaining the continuity of the vapor barrier and eliminating the need for a dedicated 6 mil. 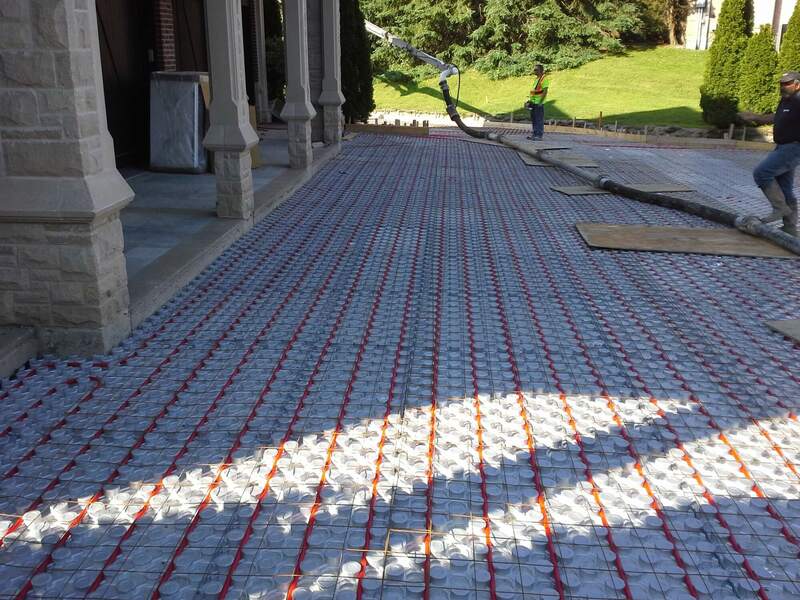 polyethylene (unless specifically required by local building code). 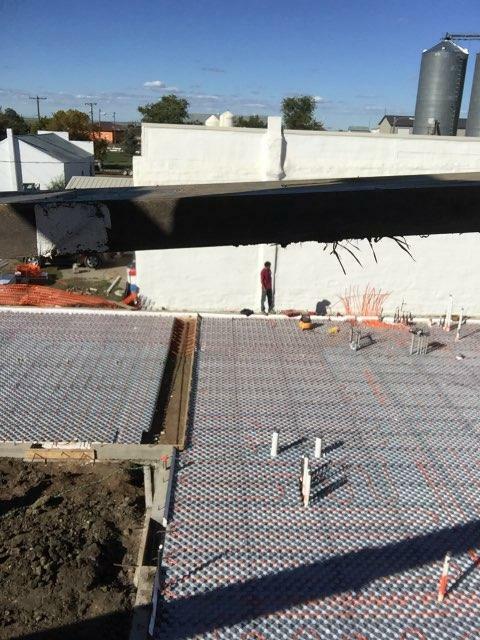 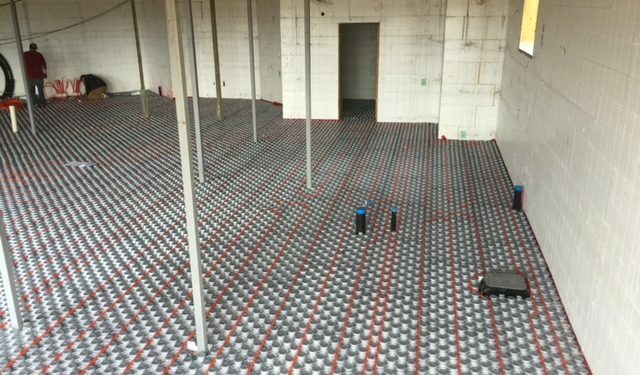 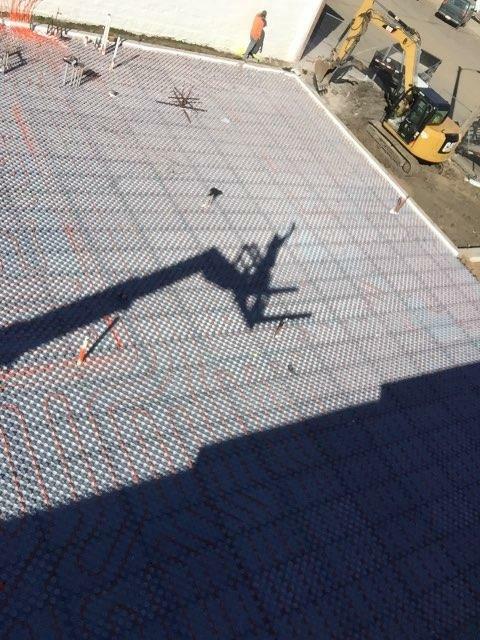 Learn more about hydronic radiant heating systems and how the Ampex insulated PEX panel can provide superior comfort, improve the indoor air quality, reduce losses and contribute to substantial savings. 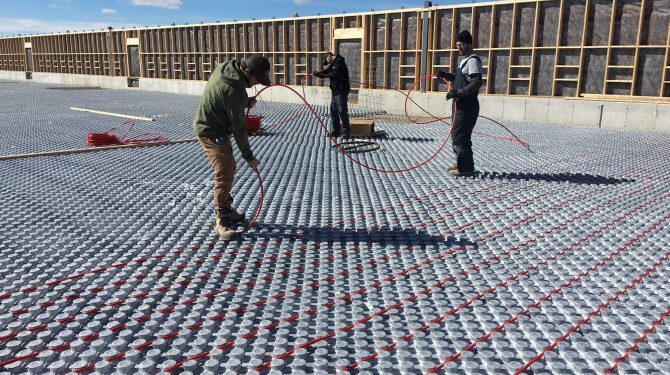 Download Our White Paper on the "Performance benefits of Hydronic Radiant floor heating"